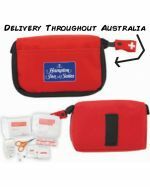 We supply a wide range of high-quality, promotional first aid kits all over Australia for an affordable price, imprinted with your unique custom logo or design. 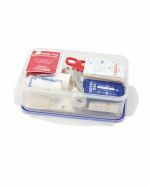 As absolute essentials for any household, business or vehicle owner, first aid kits are one of those things that we hope we never have to use, although it’s reassuring to know that a kit is nearby in the case of a serious emergency. 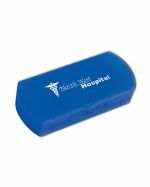 Your emblazoned logo will stand out on whichever product you choose from our catalogue, whether it’s the small custom-branded Pocket Bandage Dispenser, the Kids First Aid Kit, the portable Travel First Aid Kit or the full-size Domestic First Aid Kit. 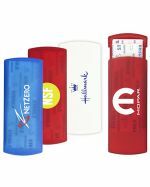 Treat your staff and clients to these useful promotional items, and give them a valuable, convenient gift that will make them appreciate your brand. 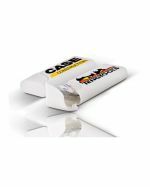 With such a large variety of products and competitive rates offered in our catalogue, it’s never been easier to select the promotional first aid kit you require to suit your marketing needs and budget. 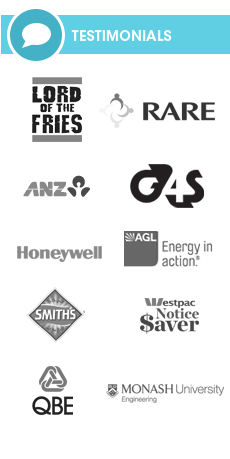 The team at Promotional Items are widely recognised in Australia for being the experts when it comes to imprinting or engraving your unique, custom logo or graphics onto the customised first aid kit of your choice. 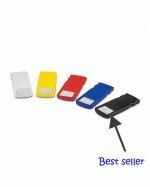 We use the latest in printing techniques and technologies to decorate your personalised emblem onto these practical promotional items, resulting in a high-class, superior finish that your competitors will envy. Our customised first aid kits are certain to stand out from the crowd when we imprint your brand’s logo on them, helping your company to be easily recognised and appreciated by clients and potential customers alike. 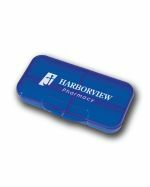 As always, we even guarantee the quality of our work, so you can be confident to receive a well-branded, quality-printed promotional first aid kit to distribute to your recipients. 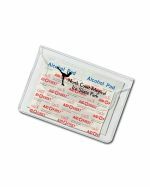 We manufacture and stock our promotional first aid kits locally and brand them with your custom logo here in Australia, for a one-week rapid turnaround time and quick delivery to all states and territories. Give our friendly staff a call today to find an affordable deal on these invaluable first aid kits for your next marketing event or campaign, and have them promptly delivered to your location wherever you are in Australia. 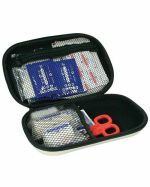 What are the Advantages of Custom-Branded First Aid Kits? It’s always good to be ready for anything. 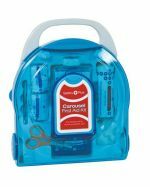 From bandaging a minor cut to saving a life, a first aid kit makes a significant difference when helping an individual needing urgent medical attention. 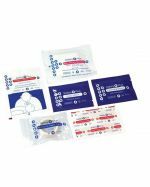 Our promotional first aid kits feature the items any workplace, home or vehicle needs in case of an emergency, and these products are perfect to provide your valued customers and staff with the reassurance and safety they deserve. 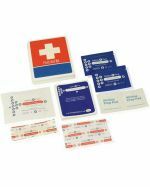 These kits come with several useful medical-grade supplies, including high-quality bandages, hygienic wipes, tweezers, scissors, splints and gauze, to make sure you are prepared when, and if, the time comes for them to be used. In recent times, a large emphasis has been put on workplace OH&S (Occupational Health and Safety), and first aid kits are unquestionably vital when it comes to ensuring the well-being of your customers, staff and co-workers, no matter which field you work in. 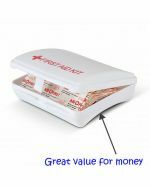 With our wide range of options, you can do exactly this – our portable Compact Promotional First Aid Kit is small enough to fit into a purse, and our Workplace customised First Aid Kit is an ideal office article that comes for an affordable price. No matter which personalised first aid kit you choose from our catalogue, you can be confident that your custom logo will attract your target audience to your company, and reassure your clients and potential customers that their coworkers and family will always be safe from harm. 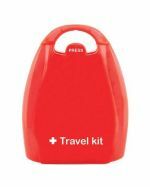 Where Should You Use Personalised First Aid Kits? 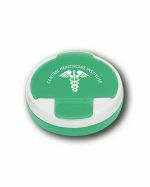 If you’re not sure where to start with these beneficial, promotional first aid kits, you can rest assured that there is a myriad of opportunities that will allow you to effectively market your brand to your target audience. 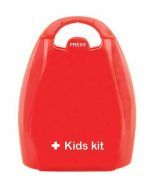 These amazing custom-branded kits can be distributed to schools, universities and offices to raise awareness of the importance of knowing first aid in emergency situations, or given as high-quality incentives to potential customers at trade shows, expos, conferences, local festivals, sports games and other corporate and social occasions. 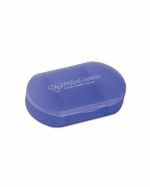 Gift these custom-branded items to staff and clients to show that you’re constantly thinking of their needs, or add them to goodie bags and spread the word of safety to everyone. 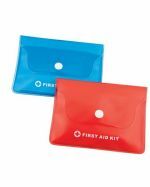 These promotional first aid kits can also be used as prizes for health or pharmaceutical events, and are popular as premium draw prizes for insurance companies and community groups. Wherever you decide to distribute these valuable products, you know that you will be giving the gift of protection and well-being to your customers, as well as spreading your brand’s message amongst the wider community. 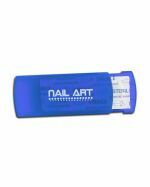 The marketing possibilities for this practical item are virtually endless.